There's an awful inevitability about Australia's cross media ownership rules. The big media players eventually get what they want by wearing down the government of the day and latching on to whatever opportunity comes their way. This month the government handed them the reform they've long craved while Senator Nick Xenophon attempted to win some concessions as the legislation passed through the Senate. We can assume Australia's media market will now become even more concentrated. What we don't know is whether Xenophon's trade offs will do anywhere near enough to protect public interest journalism and media diversity. Let's briefly recount the sad history of Australian media reform. In 2007 the Howard government began the unravelling of Paul Keating's cross media regulations, which had been in place since the early 1990s and allowed media companies to own just one form of media — either TV, newspapers or radio — in the same market. The old rules weren't perfect. They didn't stop Rupert Murdoch controlling 70 per cent of the circulation of Australia's metropolitan newspapers. But they did at least stop Australia's media companies consolidating horizontally and gobbling up one another. That changed in the final year of the Howard government, when amendments allowed media companies to own two of any medium in the same market. The one-out-of-three rule became the two-out-of-three rule. A minimum voices test was put in place so that there had to be five distinct commercial media owners in the cities and four in regional markets. But look what happened; Southern Cross Broadcasting, which owned powerful commercial talk stations across the country, was acquired by Macquarie Media and on-sold to Fairfax. So in Melbourne, 3AW and The Age were absorbed into the same company — and eventually the same building — where they started cosying up to one other. To see the perverse effects of the 2007 reforms take a look at Perth, where Kerry Stokes' Seven West now owns the popular Seven Network as well as the only metropolitan daily newspaper, The West Australian, along with its chain of suburban and regional papers. He also acquired the city's only Sunday paper, The Sunday Times. He also owns Pacific magazines and several websites, including Perth Now. But following these latest reforms, in which the two-out-of-three rule became an effective free-for-all, Stokes is allowed to keep shopping. He can now pick up some radio stations in Perth, to complement the regional stations he already owns in WA. Communications Minister Mitch Fifield has justified scrapping the cross media restrictions on the grounds that all of the big media owners are happy. Well, that's all well and good but what about the public's interests? He says, the best way of preserving diversity is by ensuring these media companies have a future and can compete against the likes of Google and Facebook. "As we head into another era of media consolidation, we'll need plenty of creative ideas and political courage if we want to sustain media diversity and quality journalism." In some ways, he has a point, although it's tempting to conclude the reasoning is self serving. New forms of digital delivery have made a mockery of the old fences erected around analogue mediums. For example, the 75 per cent reach rule, which has prevented TV networks reaching more than three quarters of the national audience, is ridiculous when compared to the reach of streaming services like Netflix or Pay TV, which have never been included in the cross media regime. Fifield also argued that diversity has never been greater because of the arrival of new digital players, like Guardian Australia. But, as we know, these welcome and valuable arrivals are but minnows and struggle for their very existence, while journalism jobs have been disappearing at a rapid rate. The New Beats study, of which I'm a member, has found that approximately 3000 journalism jobs have disappeared in Australia since 2012. Meanwhile Google and Facebook have been busily hoovering up free content from established news sites, as well as a huge proportion of advertising revenue, while not paying their proper share of tax or employing journalists. Fifield is at least right when he argues that change had to happen. But is this the change we want? Xenophon has been feeling the wearying effects of this relentless inevitability. He saw a chance to grab some concessions and gave the government the votes it needed to amend the law. While Pauline Hanson's One Nation drove a bargain to punish the ABC with what might be a dangerous and regressive inquiry and further limits on its freedom, Xenophon stood up for small media companies and for regional journalism. He won a $60 million package, comprising a one-off Regional and Small Publisher's Innovation Fund, which allows small and regional companies to 'transition, compete and innovate' in order to foster diversity and deliver civic journalism. The guidelines make clear that the funds are not to be spent on salaries or on the public broadcasters. In addition the government will offer $40,000 wage subsidies to mostly regional media companies in order to create 100 journalism cadetships a year for two years. There are a couple of other concessions as well, including the gratifying decision to grant a stay of execution to community TV by allowing it to stay on air for six more months, when an inquiry will determine its future. And there is to be an inquiry into the impact of the new digital environment on the media. This might be the opportunity to seriously analyse the ways in which the new international players like Google can make a more meaningful contribution to fostering diversity and sustaining Australian journalism. Xenophon's deal was criticised because the government has denied funding to some new entrants, such as Guardian Australia (on what appears to be ideological grounds) and because it offers only one-off funds and cadetships for a finite period. It's reasonable to ask whether there will be real jobs waiting for the cadets after the government handouts end. While Xenophon has fought the fight, there is still more that can be done. The passage of the law cuts across a Senate inquiry into public interest journalism which has heard several interesting proposals about sustaining journalism through tax deductability and write-offs for research and development. I was part of a team that advocated for an independent production fund to support public interest journalism through small grants, paid for by a levy on Facebook and Google. As we head into another era of media consolidation, we'll need plenty of creative ideas and political courage if we want to sustain media diversity and quality journalism. Andrew Dodd is an associate professor of journalism at Swinburne University and will soon take up the post of Director of the Centre for Advancing Journalism at the University of Melbourne. He is chairperson of the Public Interest Journalism Foundation and a member of the New Beats project, researching redundancies in the Australian media. Both bodies made submissions to the current Senate Inquiry. I have no issue with the basic tenet of Andrew Dodd's article. The need for quality journalism and greater media diversity should be desired by government and the community alike. A free and independent media is vital for any healthy democratic nation to flourish. Unfortunately, there will never be a huge pool of media moguls and organisations to provide the diversity in Australia we really need. The cross media rules introduced by Labor in the 1990s were flawed and while well-meaning were never going to lead to the kind of diversity that the legislation had intended. 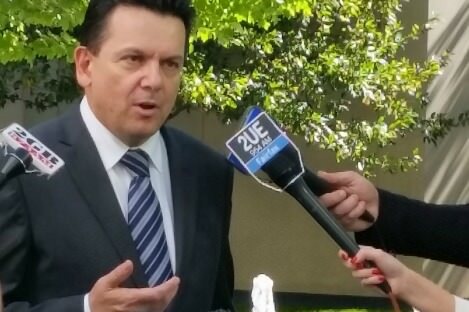 I welcome the Xenophon deal to help small media companies and regional journalism. Again, it may not be perfect but anything to assist young journalists can only be a good thing. It could be rightly argued that diversity amongst journalists is as important as diversity amongst media proprietors. The prospect of having the nation's views shaped by Andrew Bolt or the appalling Tim Blair are just to awful to contemplate. Who thought that the Government's spear carriers were such sensitive flowers and averse to answering a few straight questions ? Follow the money and the power it confers Andrew. Politicians know they have a hard time getting elected without Murdoch and he cannot function as he does without them. He plows,fertilizes and sows for governments to reap. What is seriously destructive of the heart of the country is the constant fermenting of fear and hatred instead of cooperation and compassion. Meanwhile investigative journalists have to fund their own work. Unless he is print-handicapped, a generalist member of the public should scan the daily news as a list of items on a piece of paper or a screen, much like journalists themselves. Any more effort is gluttony. The world is a big place; you might end up with several pages to cover items from locations, each of which is a mix of Northern/Eastern, Northern/Western, Southern/Eastern and Southern/Western Hemispheres. Specialists who need more information can subscribe to specialist providers. So-called news events, being raw data, are just noise until their meaning is derived from being put into context by reflective commentary, which can be done weekly, in a media setting of your choice.